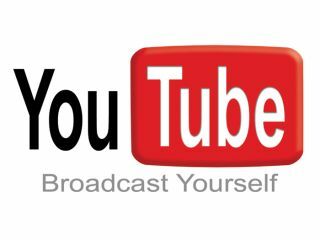 YouTube - a gaming platform? Google has filed a patent that could suggest that YouTube will become a hub for interactive gaming as well as the world's most popular video site. BNET uncovered a patent, filed by YouTube owners Google, for what it calls a 'web-based system for generation of interactive games based on digital videos'. So far, so generic – but the details of the patent are more illuminating; pointing to a layer of interactivity that would allow users to influence the video being shown. A video game, if you will. "Systems and methods are provided for adding and displaying interactive annotations for existing online hosted videos. A graphical annotation interface allows the creation of annotations and association of the annotations with a video," reads the patent document. "Annotations may be of different types and have different functionality, such as altering the appearance and/or behavior of an existing video, e.g. by supplementing it with text, allowing linking to other videos or web pages, or pausing playback of the video. "Authentication of a user desiring to perform annotation of a video may be performed in various manners, such as by checking a uniform resource locator (URL) against an existing list, checking a user identifier against an access list, and the like. "As a result of authentication, a user is accorded the appropriate annotation abilities, such as full annotation, no annotation, or annotation restricted to a particular temporal or spatial portion of the video." So, look forward to decapitating the dramatic chipmunk or choosing the moves for the lightsaber kid.